When I think of Christmas, I think of Gingerbread. Gingerbread houses, gingerbread cookies, and gingerbread ornaments! This post contains Amazon Affiliate links. For our Weekly Virtual Book Club for Kids we are reading The Gingerbread Man by Jim Aylesworth this week! We always have fun playing games, especially when they are number games! 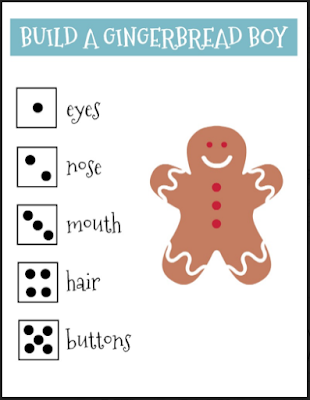 Our build a gingerbread boy game helps build some simple fine motor skills and reviews numbers 0-5. To get started you need to print out a game board and a gingerbread boy template for each player. Next you need to gather your materials! I used muffin tin liners for each child to hold their materials. In each muffin tin liner I put two googly eyes, three buttons, one red piece of foam, one pom pom, and one pipe cleaner. Then I grabbed the die and the players took turns rolling! 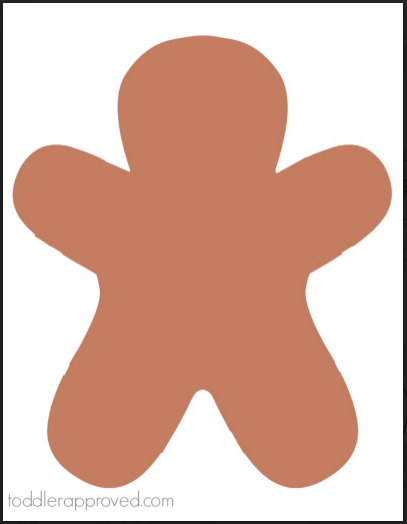 On their turn they rolled the die and whatever number they rolled they added that item to the gingerbread man. If they rolled a six I let them pick what they wanted to add. The players took turns rolling and adding materials. The game is played until one person has added all of their items to their gingerbread boy. This is such an easy, but fun game! We created a similar build a snowman game a few years ago and the kids have had such a good time creating with it as well! Do you have any other favorite gingerbread themed activities? We love our gingerbread men number hop and giant gingerbread people activities! 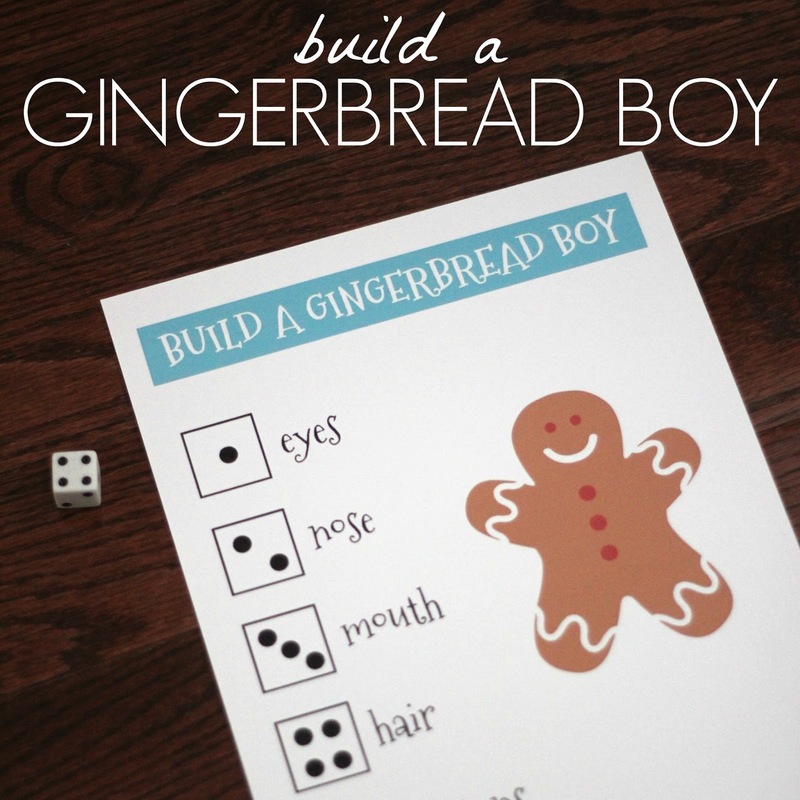 This week our Virtual Book Club for Kids co-hosts have also been creating gingerbread boy themed activities to share with you! Click on the links below to see what they shared!